The United Nations Committee on the Elimination of Discrimination against Women (CEDAW) announced that it will launch a formal inquiry into the conduct of the Canadian government and federal and provincial agencies concerning the murders and disappearances of more than 600 women across Canada in the past several decades. A disproportionately high number of the victims are of Indigenous heritage. The only other formal, in-country investigation undertaken by CEDAW since its creation in 1982 occurred in Mexico in 2003-2004, in response to the murders of women in the state of Chihuahua. The Union of BC Indian Chiefs and the BC Civil Liberties Association applauded the decision, but no official response has been issued by the federal government. 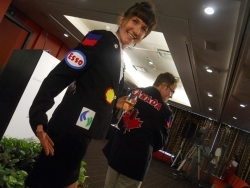 The Harper government added more hardware to its trophy case, earning its fifth consecutive Fossil of the Year award for its prehistoric performance at the Durban climate conference. “The Canadian Government’s inaction has led to it being constantly singled out as a laggard and even a pariah in these negotiations,” said Chris Bisson, Canadian Youth Delegate to the Durban negotiations. The Harper Government appointed a third-party manager to oversee finances for the community of Attawapiskat. The Attawapiskat First Nation was meant to pay upwards of $1,300 per day for this service. The Cree community of about 1,800 people made international headlines and attracted the attention of the United Nations after a YouTube video showed families living in tents and shacks with no running water or insulation. Aboriginal People's Television Network (APTN) obtained documents, including an engineering report, that validate years-old claims by residents that sewage backups caused by international diamond company DeBeers are at least partly responsible for the history of housing crises in Attawapiskat. Manitoba Treaty Relations Comissioner James Wilson of Opaskwayak Cree Nation said the situation in Attawapiskat is "symbolic of mistrust and trouble in the relationship between First Nations and the Crown" where "government on the top, First Nations on the bottom dependency is...based on the Indian Act" and "First Nations communities...can't do anything without the approval of the Minister of Aboriginal Affairs and Northern Development Canada." Amidst the holiday spending frenzy, and the sobering days thereafter, the Canadian Mortgage and Housing Corporation issued a report noting that Canadians took on record debt, and currently owe about $1.50 for every dollar they earn. L-3 Electronic Systems, with 170 employees in Nova Scotia, has teamed up with Elbit Systems Land on a bid to bring two military contracts to Nova Scotia. The first bid is for the weapons system for Canada's new design of armoured land attack vehicles. Elbit is Israel's top weapons manufacturer, responsible for such atrocities as the Palestinian Separation Wall and the Hermes 450 drone, which is responsible for much of the carnage of the 2008-09 siege on Gaza. Sales of Canadian-made surveillance drones to Libyan rebel forces may have violated UN arms embargoes. The government has called on the RCMP to look into the matter, although it is not clear what the RCMP is being asked to investigate. More than 5,600 people were arrested across North America in relation to the Occupy movement, and physical occupation spaces were wiped out of major cities. On the West Coast, a powerful “Occupy the Ports” movement blocked port traffic on December 12 in Oakland, Los Angeles, Tacoma, Seattle, San Diego and Vancouver. Elsewhere, an “Occupy Foreclosed Homes” movement emerged in major American cities, where occupiers assisted former home owners in at least temporarily reclaiming their living spaces. Tens of thousands of protesters took to the streets in Russia as independent monitors roundly criticized the national elections—which saw Vladmir Putin re-elected as President—as being rigged. Mikhail Gorbachev, former leader of the Soviet Union, called for the election results to be declared void. Alexei Navalny, the anti-corruption blogger who spent most of early December in a Russian jail, is being proclaimed one of Russia's promising new potential leaders. Nine million dollars was slated to be spent on permanent barricades at Parliament Hill in 2012. The pre-trial of Bradley Manning, the man suspected of leaking the US diplomatic cables and the Iraq war logs released by Wikileaks, wrapped up in a makeshift military court at Fort Meade army base in Maryland. 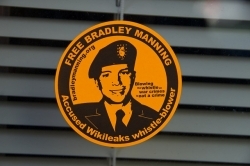 Manning has been held in solitary confinement since July 2010. The US Army's legal team argued that Manning's behaviour has damaged American national security, that he should face a court martial, and that there is enough evidence to now force the extradition of WikiLeaks founder Julian Assange. David Coombs, Manning's lawyer, argued that the US government is greatly overreacting in trying his client, and that Manning has brought no harm to national security. "The sky has not fallen, is not falling, and will not fall," said Coombs during the trial. The state of Pennsylvania announced that it will not pursue the death penalty against Mumia Abu-Jamal, convicted of the 1981 murder of police officer James Faulkner. Instead, Abu-Jamal will receive a life sentence without the possibility of parole. Three-quarters of voters within the Tunisian Parliament opted to elect as president formerly-exiled activist Moncef Marzouki. Among parliamentarians, a strong minority left their ballots blank in protest. “We wanted a strong president—not laws that overly favor the prime minister and give the position tremendous powers. We refuse to vote for a president without a limited mandate,” said Samir Bettaib, one of several members of the assembly who were skeptical of how temporary the interim government really is. The US Environmental Protection Agency (EPA) released a report concluding that natural gas wells controlled by Calgary-based natural gas giant Encana were responsible for contaminating drinking water in Wyoming. Encana, a major player in hydraulic fracturing, publicly denouncing the EPA's findings, and the methods by which they were reached. The EPA refused to back away from its findings. Encana's stocks tumbled throughout the course of the month. December 2011 saw the US finally “withdraw” its forces from Iraq. Some see this as a sign of American weakness. Others read this as a precursor to further Middle East power moves. The eight-year war has cost billions of dollars, tens of thousands of lives, and has contributed to crippling the American economy. American Secretary of State Hillary Clinton visited Myanmar, also known as Burma. It was the first visit to Burma by such a high-ranking member of the American cabinet in over 50 years. In mid-October, more than 200 Burmese political prisoners were freed, which has led to a “flicker of hope” that the US might relax sanctions against Myanmar. Amnesty International notes that Myanmar still holds 1-2,000 political prisoners, who should be released immediately, according to the international human rights watchdog organization, and not as part of a "process." North Korea's “Great Leader,” Kim Jong-Il, died. American food aid to the country was put on hold, despite pleas from North Korean officials, as the exact make-up of a successor regime was solidified. Kim Jong-Un, Jong-Il's youngest son, was later proclaimed Supreme Leader of North Korea. The country's New Year's resolution was to become a "powerful and prosperous" nation in 2012.